Income Eco Run 2018 RECP Farmers' Market | JustRunLah! Your preparations for the Income Eco Run would not be complete without the Income Eco Run Farmers’ Market and Race Entry Pack Collection (REPC) on 14-15 April 2018! Taking place at the F1 Pit Building, collect your Income Eco Run race entry gear and treat yourself to wholesome bites and drinks from a slew of local and eco vendors such as Beans to Bar, VeganBurg, Bettr Barista and Bushwick Biotech. Kick-starting a zero waste lifestyle is easier than you think! 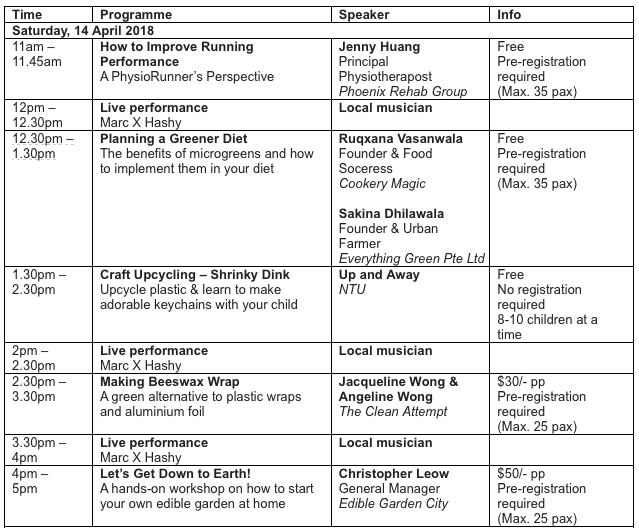 Find out how you can take the first step towards sustainable living at our green partners’ booths, or pick up a skill and fulfill your green-finger dreams at our workshops run by Edible Garden City, Zero Waste SG and more. From upcycling, to learning how to DIY your own household and beauty products, there’s is something for everyone of all ages at the Farmers’ Market! Income Eco Run 2018 will take place on 29 April 2018 at the F1 Pit Building with the first category (21.1km Half Marathon) flagging off at 5 am. 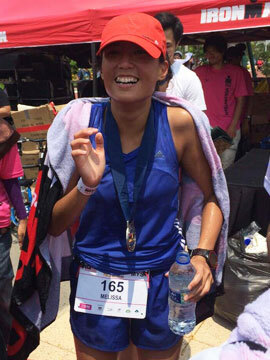 Registration for Income Eco Run is open till 29 March and starts from $20. For more information and to register for Income Eco Run 2018, please click here.